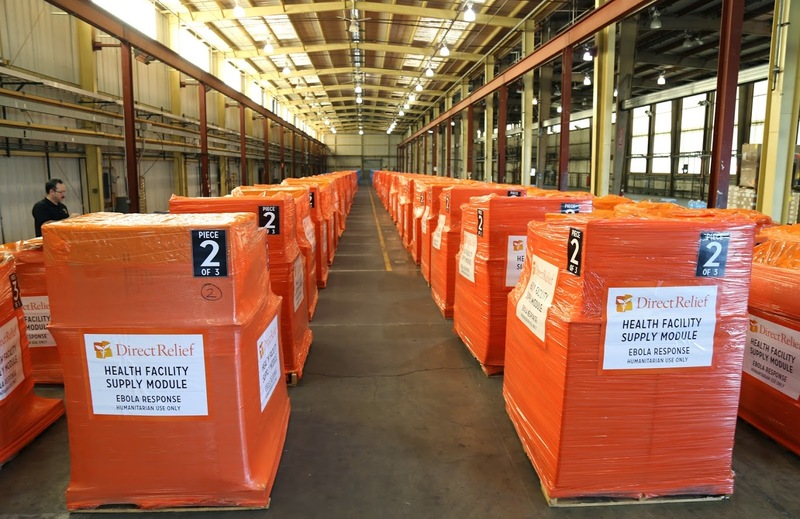 Direct Relief’s policy regarding designated contributions for Ebola response activities is simple: Direct Relief will use all contributions designated for “Ebola Relief” directly for relief and recovery efforts related to the Ebola Crisis. Direct Relief relies on charitable contributions to conduct humanitarian assistance throughout the United States and globally. As we respond to the needs of people affected by Ebola in West Africa, Direct Relief wishes to note its policy regarding donor-designated contributions as it has done in previous high-profile emergencies (such as Typhoon Haiyan last year, Superstorm Sandy the year before, the 2011 Japan earthquake and tsunami, and the 2010 Haiti earthquake). Direct Relief recognizes the importance of enabling donors to communicate their intentions regarding donations and explaining how the organization carefully accounts for and uses designated contributions to honor the donors’ intentions. Direct Relief takes several steps to ensure that both donors’ intentions and the organization’s use of contributions are clear. To ensure that donors communicate their intention regarding their contribution, we note that Direct Relief’s online donation page requires that donors consider the options of “wherever needed most” or to designate their contribution by choosing from a drop-down menu that includes “Ebola Response in West Africa” among several other particular activities or areas in which Direct Relief works and to which donors may also elect to restrict their gift. Other methods of contributions, such as by check or wire transfer that include an “Ebola” or similar notation in the check memo line or accompanying correspondence also will be considered as instruction to restrict the gift for this particular response effort. An internal fund is created with all designated contributions, and all expenditures related to the response are recorded for both internal management and external reporting purposes. Independently audited financial statements are prepared and published annually, but Direct Relief will share current information on its website as events unfold regarding programmatic activities and expenditures. 100 percent of Direct Relief’s fundraising expenses are paid by a bequest. This means that no portion of any contribution for Ebola-response efforts (or any other contribution) will be used for fundraising purposes. Ebola relief contributions will be used only for Ebola-related programmatic costs and administrative expenses directly related to the Ebola relief activity. Programmatic costs include those related to purchasing, storing, transporting, and distributing essential medical material to affected areas and the costs of programmatic staff and related travel for Ebola relief-assistance functions. Directly related administrative expenses include credit-card processing fees associated with the receipt of contributions; accounting fees associated with managing Ebola relief funds; postage related to issuing receipts to Ebola relief donors; banking fees related to wire transfers of Ebola-related donations; warehousing and packaging of medical material; and IT support costs that are necessary to conduct Ebola-related programmatic activity (such as inventory management of medical material being provided in the relief effort). General, unrestricted financial support is essential for Direct Relief to fulfill any of its deeply compelling humanitarian activities, including being able to respond rapidly to any emergency as the organization has done in the ongoing Ebola outbreak. Indeed, much of Direct Relief’s current Ebola-response activities have been guided by and in support of key partners that Direct Relief already was supporting in the affected countries — with such general funds – and are now playing central, critical roles in response to the crisis. That is why such unrestricted contributions always are needed, deeply appreciated, and enable Direct Relief to assist people in many places and situations that do not make the news. However, Direct Relief is obligated to – and will always – honor the intent of a donor-designated financial contribution, including, obviously, in this instance with regard to Ebola-designated contributions. If a donor were to make a clearly restricted gift for a purpose or with a restriction that Direct Relief is not able to fulfill or comply with, Direct Relief will advise the donor of this situation and inquire if other uses may be permitted. If a donor’s intent cannot be met, Direct Relief will offer to direct the gift to another nonprofit able to fulfill the donor’s intent or return the gift.